Perhaps Japan’s 1948 law seems historically and geographically isolated from the rest of the world. And, besides, didn’t Japan have violent leaders? They were responsible for the murder of civilians throughout Asia during World War, so should it really be any surprise that they would abort their own children? Maybe we shouldn’t be surprised. But the fact is, this law was influenced and supported by the West. 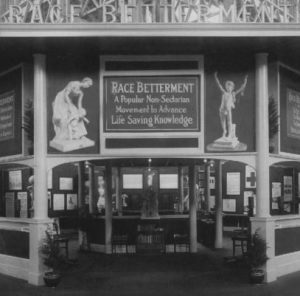 The World’s Fair of 1915 in San Francisco catalysed the Eugenics movement, spreading it rapidly around the world. The Eugenics movement first developed in England and in America, and then spread around the world (especially after the World’s Fair of 1915 in San Francisco). Eugenics advocates claimed there was a growing number of disabled people, and they urgently wanted to weed “defective” people out of society, in order to create the perfect human race. Eugenics theory was promoted by the top leaders in science, medicine, education, and politics. And it had fertile soil in the American public because of anti-black and anti-Asian sentiments. Americans had an historical fear of East Asians, and this fear was an especially visceral catalyst for the anti-Asia immigration laws in California in the early 20th century. But even before that, California was actually the first Western government to outlaw marriage with Asians, in 1850. Then, starting in 1909, California led the world in eugenic sterilisation. California’s eugenic laws became a model for other American states, and for other nations–including the eugenics laws of Nazi Germany. What does all this have to do with Japan’s law? The Eugenic Protection Act of 1948 was passed during the Allied Occupation of Japan (1945-1952). The Allied Occupation consisted mostly of Americans, while about 25% of Allied Occupation soldiers were from various British Commonwealth nations. Earlier versions of the abortion law were promoted by Socialist politician Abe Isoo, who had become a Socialist while studying in a Unitarian seminary in America. While the main people responsible for abortion in Japan were Japanese medical and political leaders, they would not have promoted abortion in this way without the influence and support of Westerners, and especially of Americans. The most notable American supporter and facilitator of the Eugenics Protection Act of 1948 was the American doctor, Crawford Sams, who was in charge of Japan’s medical system from 1945 to 1951. He may have sincerely cared about the general well-being of the Japanese people. Tragically, he thought that abortion was part of the answer to Japan’s problems. Before the dropping of the atomic bomb and the nuclear bomb in August 1945, American bombers had already firebombed 67 cities, destroying 2.5 million homes and leaving 8.5 million people homeless. The destruction of infrastructure allowed for famine and disease to spread around the country. This map was created by the United States Army Air Forces in November 1945, comparing each city they had bombed with a similarly sized American city, to give a clearer idea of how much damage they had caused. But Dr. Sams didn’t see abortion only as a way to deal with poverty. He also had the responsibility to implement the American government’s policy of keeping the Japanese and American races from mixing. In addition, both the Japanese and the Americans were also very concerned about soldiers of African descent having children with Japanese women. They believed that Africans were racially inferior, and that African genes would corrupt other races. Before 1948, abortion was not very common in Japan. But this changed dramatically because of the efforts of Japanese socialists, and the cooperation of American eugenicists. By the time General Douglas MacArthur handed sovereignty back to the Japanese government in 1952, there were over one million abortions per year in Japan. The Eugenics Protection Act was supposed to protect the health of mothers. Instead, it protected the ideology of Eugenics. It has now been 80 years since America helped to facilitate Japan’s massive abortion problem. 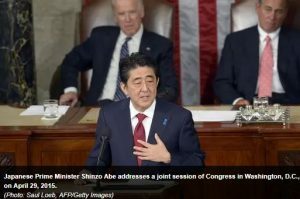 Japan has given formal apologies to America and to other nations for many of the evils that the Japanese government committed in the past. 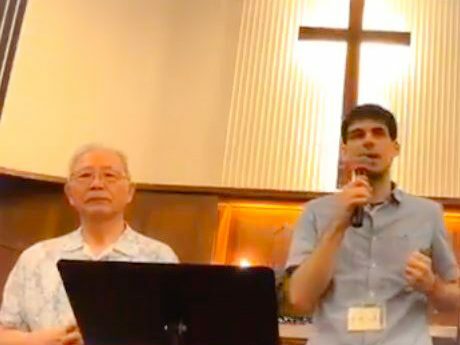 Now is the time to recognise the role that Americans played in facilitating abortion in Japan, and all the injustices that have accompanied this immense, tragic, and unnecessary taking of innocent human lives.